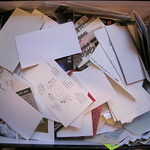 When you meet someone new in the work environment there is usually an exchange of business cards. On the presentation of this card, your eyes immediately glance at the person’s name and their job title where you typically place a “label” on their rank in the organization, their skill set and their personality traits. The person portrayed on the business card also tends to accept this “label” and modifies their personal behavior to be consistent with their job title. Why not change the “label” and therefore allow the person to be more innovative and creative in their behavior and in the way that they perform their job role? Why not get some new business cards printed with your “alternative job title” and see the effect on your new business acquaintances, and how it influences your persona? It could be rather interesting…..?